True, I use a spider. But that does not work around invis or shell, mind you. The best way I've found so far to do indirect damage is the Spider and Viper Occultists. Give them an artifact that boosts their extra damage stat and their indirect damage will be much higher than their actual attack damage. It's great for getting around Link and the Witch Doctor Sacrificer's special defense ability. It really opens up your options against enemies with special defensive abilities. Using "indirect" damage is a personal joy of mine. Cleave, splash, thrust, and link are great attacking buffs that work around these pesky tricks. 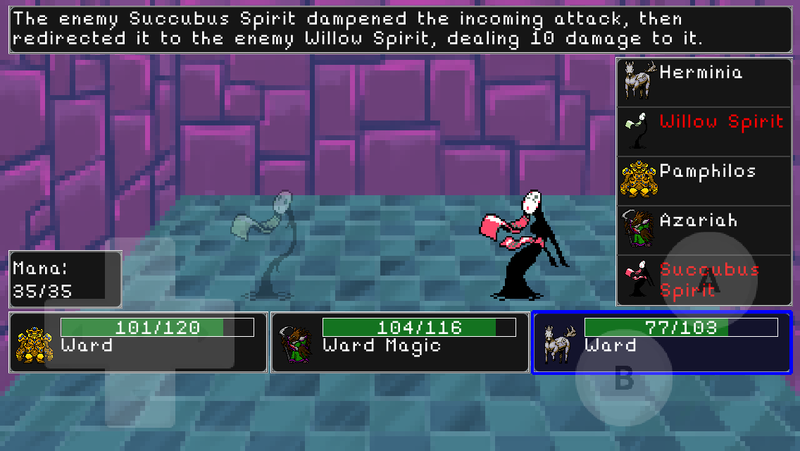 Also debuff effects like bleed, poison, burn, suffocate, infection, and disease also work through them. Blight works great against creatures like the stardust amaranth, which, upon death, resurrects and gives all of its allies shell and mend. Any creature healed who has blight takes greater damage. A pro at indirect damage is the necropolis. If you can get your hands on him, he's a tank that when attacked while provoking or defending gives 1-3 stacks of poison to all enemies. Match him with a bile slime that increases the potency of poison and you'll have a team with very strong indirect damage synergy. That's kinda funny. It also proves the best method for getting around things like shell, barrier, and invisible. Using side damage like that or thrust and cleave, or splash gets through. Interesting enough, but that type of damage never seems reliable to me. I came across this in earlier in the week, and I thought it was pretty interesting considering the Willow Spirit was Invisible at the time.